It’s been confirmed that Bonymaen banger Enzo Maccarinelli (38-6, 30KO) will challenge Juergen Braehmer (42-2, 31KO) for the WBA regular world light-heavyweight championship on April 5th. The voluntary defence will take place on a Sauerland Promotion show at the Stadthalle in Rostock, an hour away from Braehmer’s hometown Schwerin in the north east of Germany. It will be Braehmer’s first defence of his title after claiming it with a hard fought Unanimous Decision win over Marcus Oliveira in December. The ‘regular’ title became vacant when the WBA decided to elevate Kazakhstan’s Beibut Shumenov to their ‘super’ champion status last year. Given the legitimacy of the ‘regular’ title, it’s unclear whether victory for Maccarinelli would see him considered a full world champion but it would still be a remarkable and admirable career turnaround. 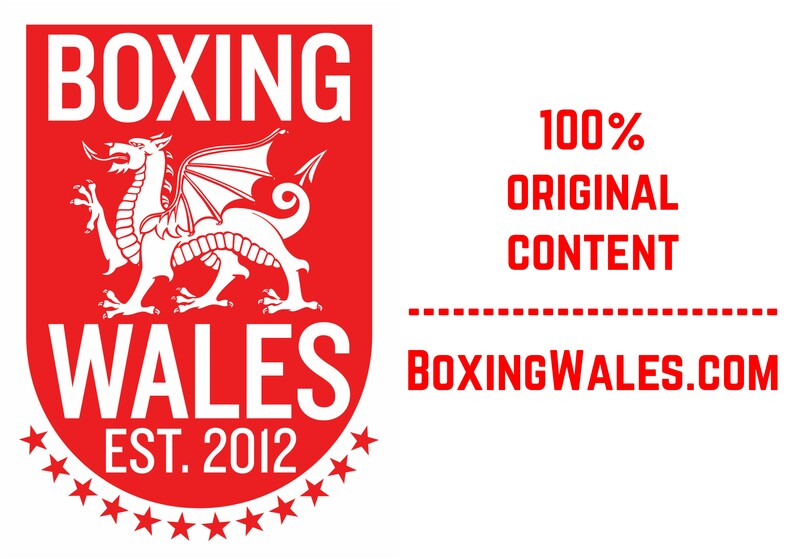 No Welshman has ever won a world title after losing one or won official world titles in different weights, given that Joe Calzaghe competed for The Ring magazine’s unofficial world title when he moved from super-middleweight to light-heavyweight in the twilight of his career in 2008. 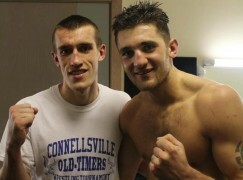 Braehmer will be best known by Welsh boxing fans for refusing to defend his WBO title against Nathan Cleverly in 2011. When eventually scheduled to face Cleverly, Braehmer withdrew three days before the bout and the governing body stripped him of the title. Prior to that, Braehmer had a successful but short reign as world champion with just two title defences, most notably an all action war with Dmitry Sukhotsky. The skillful southpaw has also enjoyed European title success either side of his original world title reign. The 35-year-old German twice beat Ricky Hatton, once with a first round knockout while on his way to winning a Junior World Championships gold medal, and Carl Froch in the amateurs. Now 33-years-old, Maccarinelli first fought in a world championship bout back in 2006 when he knocked out Mark Hobson in the first round of their rematch in Manchester. The Swansea native then successfully defended his WBO cruiserweight title three times before unsuccessfully attempting to unify world titles with England’s WBA and WBC champion David Haye in 2008. Following the unification fight, European title glory was sandwiched between a string of bad knockout defeats and there were calls for Maccarinelli to retire. Instead, Maccarinelli took a year out before returning to the ring in 2012. 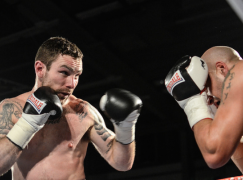 When the popular puncher did return, calls for him to retire surfaced again during a less than stellar points win over Shane McPhilbin for the British title but Maccarinelli resisted and decided to move down to light-heavyweight, 25lbs south of the cruiserweight limit. A link-up with energetic young trainer and former stablemate Gary Lockett is four fights old and aside from a hugely premature stoppage against Ovill McKenzie, which was later avenged, it’s shown that an ageing albeit quality operator can learn new tricks. Since training with Lockett, Maccarinelli has produced his smartest boxing for a long time and questions over the fragility of Maccarinelli’s frame at the lighter weight have been answered in his 2013 Commonwealth title reign with stoppage wins over top domestic light-heavyweights Ovill McKenzie and Courtney Fry. Along with Freddie Welsh and Nathan Cleverly, Maccarinelli is one of only three Welsh boxers to have won the British, Commonwealth, European and world titles.